Melbourne, Australia & New York, USA: Fluence Corporation Limited (ASX: FLC) announced today that it has received a €3.9M contract for a wastewater treatment and waste-to-energy system for its customer ArcelorMittal. 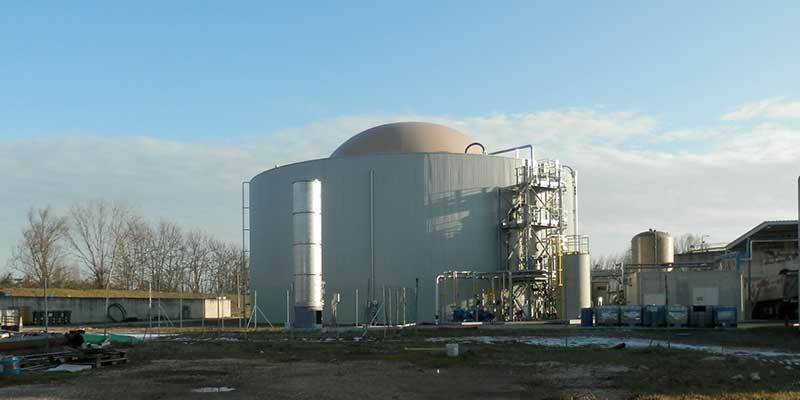 Fluence will design and build these systems for ArcelorMittal’s steel mill in Ghent, Belgium, using innovative anaerobic digestion technology to produce biogas from off-gas fermentation byproducts. The Fluence system is expected to be delivered, installed and operational onsite within 18 months. ArcelorMittal is the world’s largest crude steel producer, accounting for 90 million tons of steel per year. An anaerobic digestor, like the one pictured above, will be custom-designed by Fluence for ArcelorMittal. ArcelorMittal is the world’s leading steel and mining company, with a presence in 60 countries and an industrial footprint in 18 countries. Guided by a philosophy to produce safe, sustainable steel, they are the leading supplier of quality steel in the major global steel markets including automotive, construction, household appliances and packaging, with world-class research and development and outstanding distribution networks. In 2017, ArcelorMittal had revenues of $68.7 billion and crude steel production of 93.1 million metric tons, while iron ore production reached 57.4 million metric tons. See their press release for this project here: http://corporate.arcelormittal.com/news-and-media/news/2018/june/11-06-2018. Further information can be found at https://www.fluencecorp.com.